Harold James Bartlett passed away peacefully, at the age of 87, on Wednesday, August 1, 2018, after battling many years of Alzheimer’s and dementia, at The Oaks of Beaumont Nursing Home. He was born on September 30, 1930 in Pennsylvania. Harold served in the United States Marine Corps where he fought in the Korean War. After leaving the service he became an accountant. 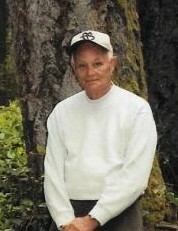 He loved all sports and had an amazing knowledge of all kinds of sporting facts. Harold is preceded in death by his parents, 2 siblings, his first wife, Barbara, and 2 step daughters. He is survived by his wife Irma, sons Ronald, Robert, & Raymond & wife, daughter Sharon & husband, step daughters Marshia & Tammy, step son Mark and wife, 10 grandchildren, 5 step grandchildren, 3 great-grandchildren & 9 step great-grandchildren. A Life Honoring Memorial Service will be held on Saturday, August 11, 2018 at 11:00 a.m. at Forest Oaks Funeral Home.